Ben A. Schnakenberg joined High Road in 2008 and serves on the Board of Directors of Banner Solutions, Cali Bamboo, Radix Wire & Cable, SMB Machinery Systems, and Storage Battery Systems. 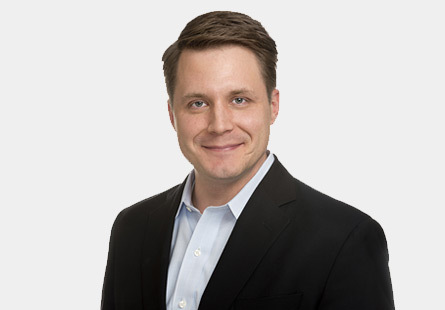 Ben is a lead transaction partner responsible for evaluating investment opportunities, executing transactions, and overseeing portfolio company investments. Ben has been involved in 10 platform company acquisitions, 15 add-on acquisitions and 3 platform company exits (Accentus, All Current Electrical Sales, and All Integrated Solutions). Prior to joining High Road, Ben was a Senior Vice President at LaSalle Bank, now part of Bank of America, where he served for three years as the chief of staff to LaSalle’s CEO and where he had also previously spent three years in middle-market commercial banking. Ben also spent two years at Madison Capital Funding, where he provided senior and subordinated debt financing and equity co-investments for leveraged buyouts and recapitalizations of middle-market companies. Ben received a B.A. in Political Science and English from Valparaiso University in 2000 and an M.B.A from the Wharton School of the University of Pennsylvania in 2009. He is a CFA Charterholder.